THE ENERGY YOU NEED TO LIVE EACH DAY TO THE FULLEST! 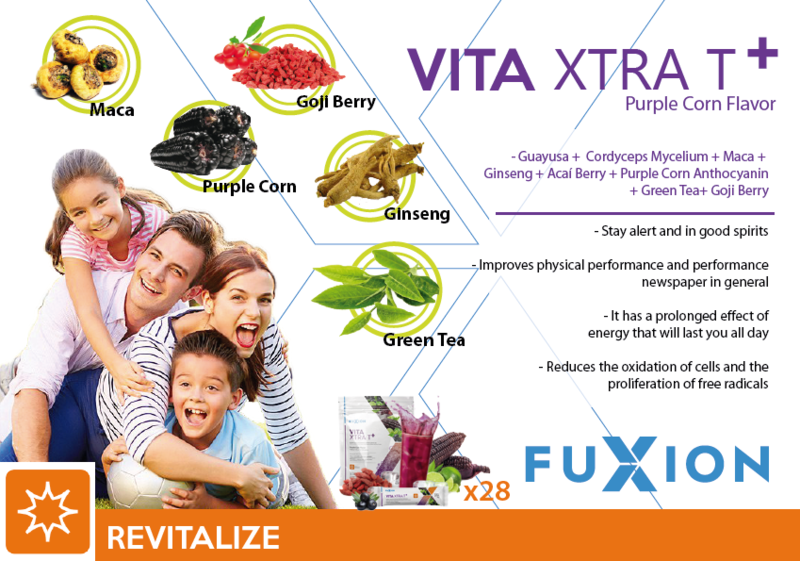 FuXion Vita Xtra T+ makes you feel more vitality and energy! This unique antioxidant and multivitamin drink is a powerful nutritional source to give you physical energy and enhanced mental focus. This incredible formula will help you to receive a long-lasting energy boost that will last the whole day, while reducing cellular oxidation. 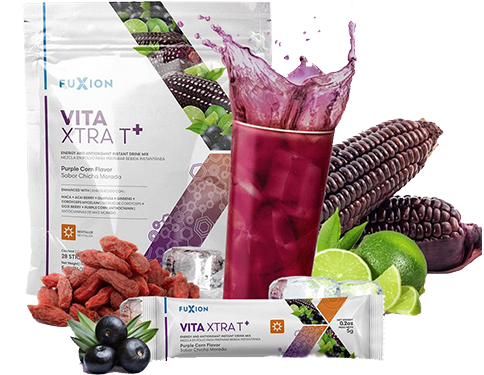 FuXion masterfully combines natural energizers like maca and acai berry, plus guayusa, a plant from the Amazon, that will help you stay alert longer. All of this, together with natural enhancers like cordyceps mycelium and goji berry, which prolong the revitalizing effect of this drink. It’s packed with goodness, including a special amino acid mix including L-arginine. It also contains our special blend of vitamins, minerals, fruit extracts and antioxidants, including green tea, acai berry, purple corn anthocyanin, camu camu.